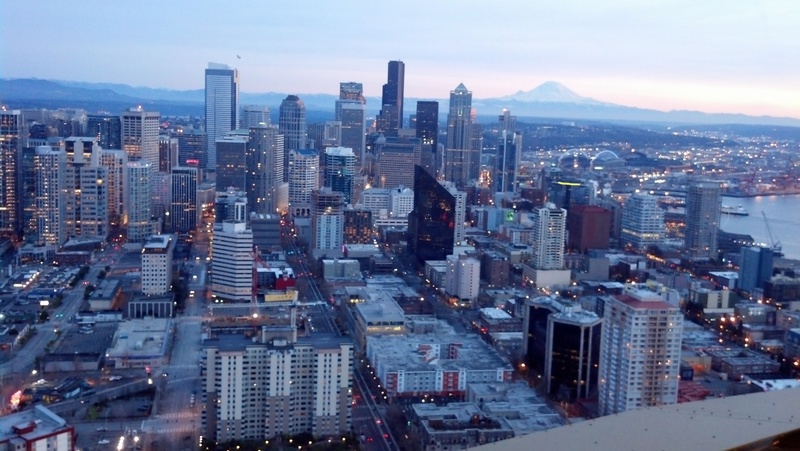 I’m a Seattleite who is proud to live in one of the most progressive cities in America. 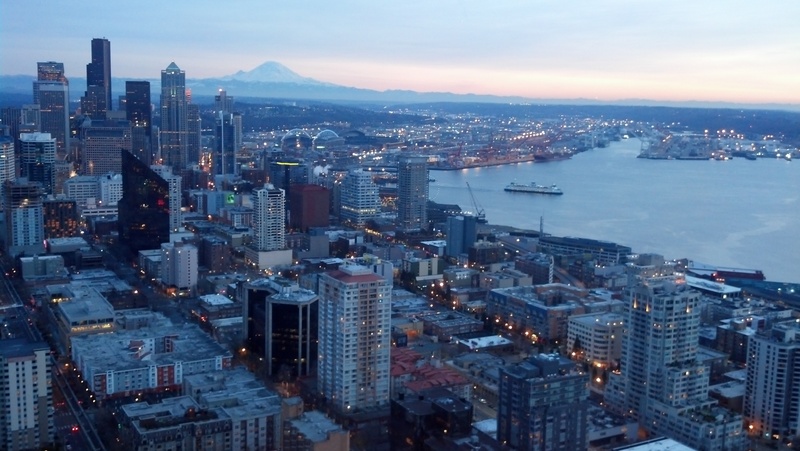 Seattle is well-read, educated, liberal, and we pride ourselves on our environmentalism. 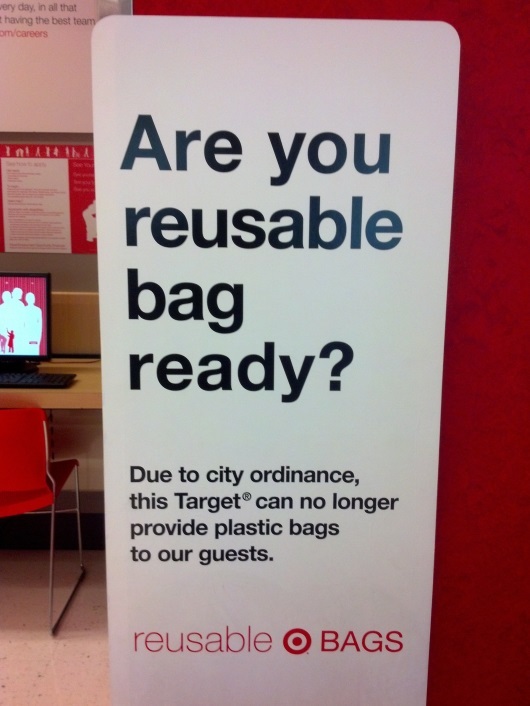 Last summer, beginning July 1, 2012, the City of Seattle banned the use of plastic shopping bags. This probably sounds inconsequential to Scandinavians and Europeans, but to Americans, it’s a huge deal. Grocery stores have provided customers with free shopping bags since before I was born. When I used to visit Germany while growing up (my mother is from there), I always thought it was annoying and strange to have to bring your own bags to grocery stores. I didn’t consider the environmental aspect. Until I was a teenager, all grocery bags were paper. Then, sometime in the ‘80s, plastic bags were introduced. They were a revolution. They were touted as being more environmental because they (supposedly) saved trees. They were also more convenient—they had handles, they took up almost no room on their own, and at home you could reuse them for all kinds of things, from picking up your dog’s poop to carrying wine and crackers to a friend’s house for a dinner party. But now, plastic bags have become a scourge on the environment. As awareness of the problems created by plastic bags bags (these thin grocery bags are so light and they just blow around everywhere polluting waterways and killing marine animals) became widespread, the City of Seattle began discussing the idea of a ban. Retailers balked, and it turned out that plastic bag manufacturers are a large and powerful political force. The measure almost passed several years ago, but the plastic bag lobby was too powerful and it stalled. But finally, last year, it went through. Not only are plastic bags now banned, but paper bags, which stores can still provide, cost 5 cents each. 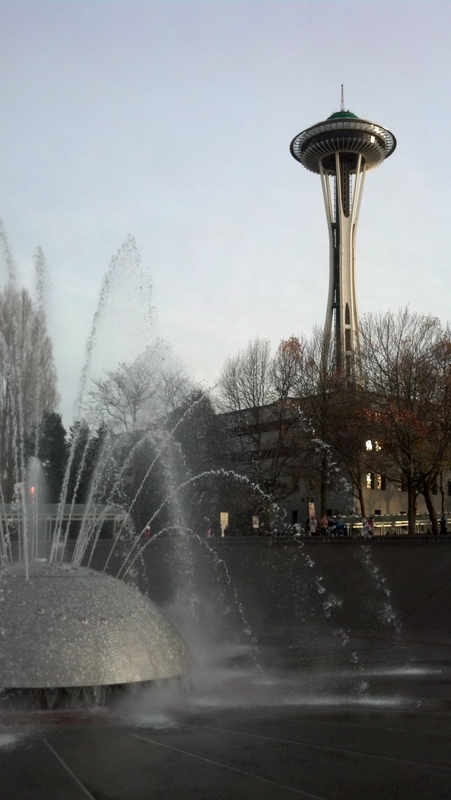 Despite Seattle’s overall “greenness,” many people were outraged. They didn’t like the government “telling us what to do.” They feel they have an inborn right to have free bags every time they shop. A lot of Americans, unfortunately, have an entitled attitude. Our country values personal independence and freedom of choice. That’s great to a point, but any hint of government control is derided as “socialism”—as if that’s a bad thing! Stories even started to circulate that reusable bags are dangerous (! ), because some people have supposedly gotten sick from dirty bags. Here’s a recent article on the subject—note the line at the end that says, “…or, maybe, just let people make their own decisions.” That’s the attitude I was talking about. I mean, really—has Europe been facing a health crisis for decades because of reusable bags? I don’t think so. Personally, I embrace the ban. I think about how Europeans have been bringing their own bags to grocery stores for decades. It’s just normal over there. I actually bought reusable grocery bags even before the ban went into effect. But wow, old habits are hard to break! I keep my bags in my trunk, and even after several years of having them, I often walk into the store without them. A lifetime of habit can be hard to change. But it’s becoming more automatic all the time. My 6-year old daughter won’t remember a time when stores had plastic bags. For her, it will be normal to bring her own bags shopping. I hope this change sticks, so that the next generation will have the European mindset about grocery bags.